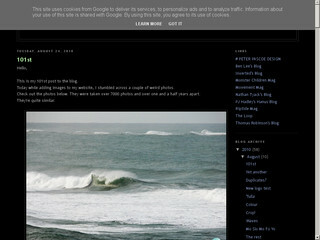 This is a regularly updated website that features surf photos along with a heap of other junk. The 'surf' section is probably the highlight. Visit the website of Peter Pascoe Design now ! Peter Pascoe Design , belonging to category "Photographers"
The site of the Australian Photographer Phil Gallagher. Bodyboard and photo and many things that are releated to the bodyboarding life!! Report photos: sports outdoor journeys surfing adventures.